What are the best things to do with kids on a Fiji holiday? If you’re staying in one of the many family-friendly resorts on Fiji’s Coral Coast, then a stop at this action- packed park is a must. 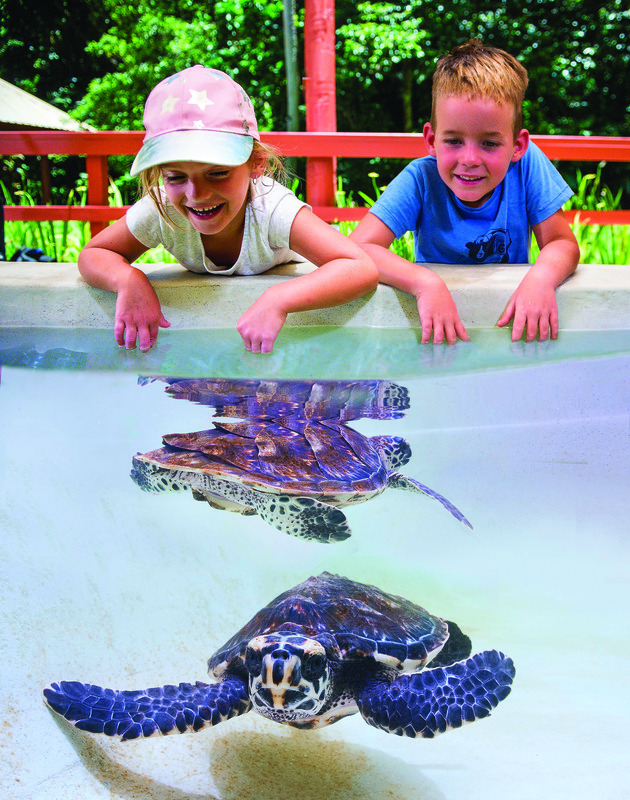 Kids will love feeding sea turtles, meeting a banded iguana and having a happy snap taken with one of the resident reptiles. From here, it’s on to zip-lining through the tree canopy and swooshing through the jungle on the thrilling water slide. Fiji is made up of 333 different tropical islands, and each one is uniquely breathtaking. Take an island- hopping boat tour and try to check a few off your list; it’s a great way to see all that Fiji has to offer. Kids will love zooming across the crystal-clear water before pulling up for a spot of snorkelling or beach play, as well as meeting a few friendly locals along the way. For the adventurous family, an exhilarating jet-boat ride up Viti Levu’s Navua River is a great day out with a touch of cultural education, too. Fly along the river, past farms and villages, to arrive at the Magic Waterfalls, where you can go for a refreshing family dip. After, families will return to the village for a Fijian-style lunch and some cool insight into local traditions. To visit Fiji without exploring its world-famous reefs is practically a criminal offence. You can snorkel just o the coast, but the true beauty and marine diversity lies a little further beyond, for which you’ll want to book a tour. Kids will love the opportunity to learn about these incredible ecosystems with the guides, who can share amazing facts about life under the sea. Find out more at reefsafari.com. Fiji is famously family-friendly, and its resorts certainly live up to the hype. 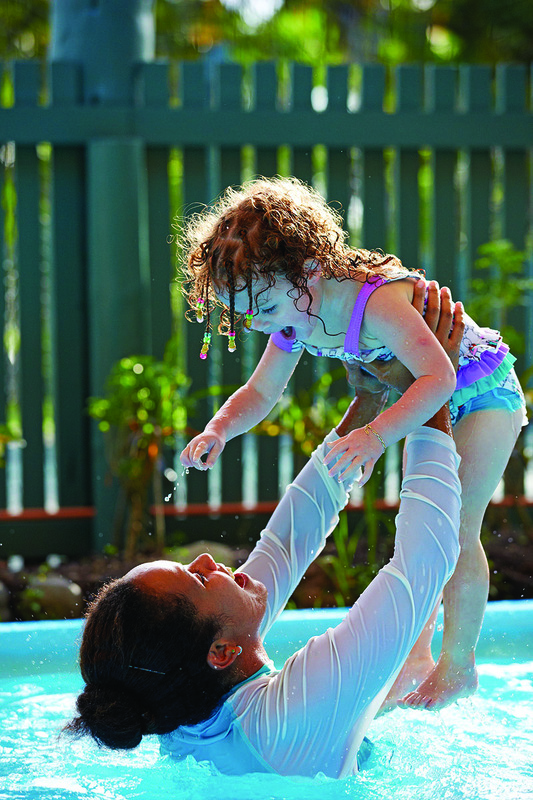 Most Fijian resorts run incredible facility and activity-packed kids’ clubs, while at some resorts, there are dedicated nanny services for under – yes! With the kids entertained, parents can take the opportunity to swim and dive, or make time for a romantic picnic on the beach. Explore the world’s soft coral capital by cruise, with everything from casual day trips to multi-night adventures. Blue Lagoon Cruises offers great activities for families between cruising times such as kayaking, beach volleyball and crafts. For those with little ones, South Sea Cruises’ Finding Nemo cruise is a 30-minute journey to its island Marine Sanctuary. 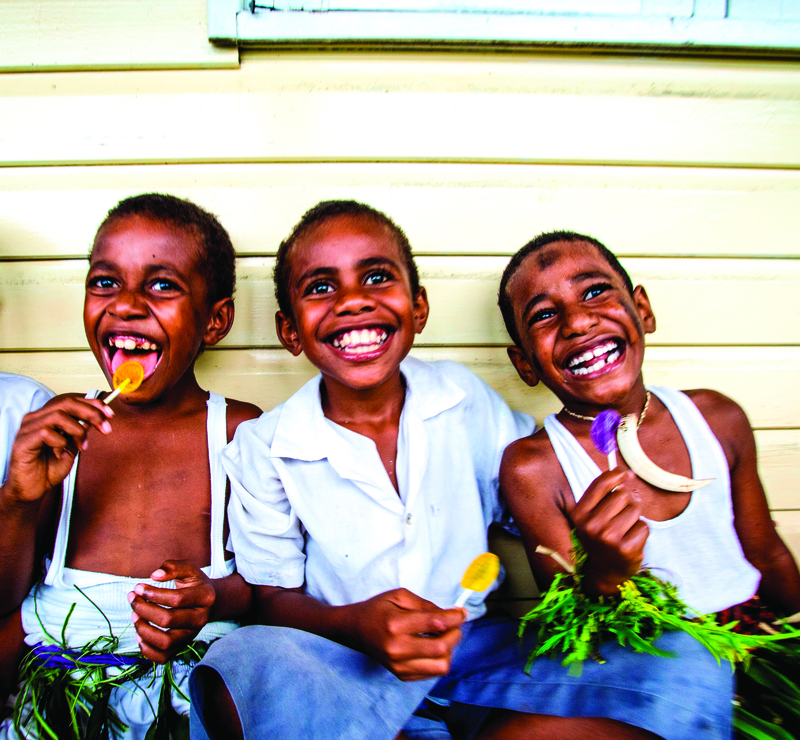 Make sure you and the little ones try niu, a local favourite that makes for a refreshing taste of Fijian life. The super-cheap fresh coconut water can be easily found around Fiji. Keep an eye out at stalls or local markets. Families looking for a unique way to venture the road less travelled won’t be disappointed by Ecotrax Fiji. Its electric- assisted, rail-mounted ‘push bikes’ guide you on a journey through lush coastal scenery to a deserted beach, and are suitable for a range of ages and fitness levels. What better way to bond as a family than with a roll in the mud? It’s claimed that the Sabeto Hot Springs have age-defying benefits and restorative effects, but abundant giggles are a fun side-effect for little ones. A world of mountains, rainforest and waterfalls is waiting to be discovered on a white water rafting or kayaking adventure for families with teens in tow. Bet there’ll be no complaints of boredom as they wind through the natural grandeur of Namosi Valley on a Fiji Whitewater Adventure. All aboard Moale, the private, 14-metre catamaran that invites families to discover the line where the sky meets the sea. Accommodating up to eight overnight, Moale is available for day charters and longer adventures through Adventure Sailing Fiji. It’s a great way to explore the Mamanuca and Yasawa Islands. For a change of pace, take the trip to Sigatoka Sand Dunes National Park on Viti Levu. Fiji’s rst national park hugs the shoreline near the mouth of the Sigatoka River and features impressive sand pillars, standing around ve kilometres long and 60 metres high. The park is open daily for families to learn about the area’s archaeological history, including ancient Lapita artefacts. Fiji is a haven for grommets, whether they are beginners or pros, with beaches and breaks to suit everyone. Wilkes, Cloudbreak, Namotu and Sigatoka are just a few of Fiji’s favourite surf breaks. Natadola Beach, considered one of the most beautiful beaches on the mainland, is perfect for families as it offers a break for beginners and one for more experienced surfers. As splendid as lazing around at an idyllic resort is, it’s also worth getting a glimpse into the local culture. The best experience is a day trip into the bustling hub of the Nadi markets. Local handicrafts make great keepsakes and meeting their makers is a good experience for kids. Remember to look for the ‘Fijian Made’ stamp on your purchases to support the local economy. Teach kids the value of understanding the places they travel by incorporating a few historical elements to the itinerary. Fiji Museum in Suva teaches all about Fiji’s cultural evolution, with archaeological material dating back nearly 4,000 years. The most impressive feature is a massive Ratu Finau, Fiji’s last oceangoing double-hulled canoe measuring over 13 metres in length. jimuseum.org. Indigenous Fijian re-walking, or vilavilairevo, is among the most impressive of Fiji’s cultural rituals and one the kids will never forget. Traditionally, re-walking was the culmination of a spiritual ritual in which participants survived on little food or sleep for a number of days, but today you can witness regular performances at the Pacific Harbour Arts Village near Suva. Held each August, the Hibiscus Festival in Viti Levu is an elaborate multi- day event that’s worth planning your itinerary around. Families can look forward to days on end of great food, rides, live entertainment, oat processions, singing and dancing competitions and even a dedicated day just for kids. Go chasing waterfalls for a little bit of action with stunning views to boot. The Tavoro Waterfalls are hidden within Bouma National Park on Taveuni Island, framed by an abundance of dense green jungle. They are easily accessed from the park’s visitor centre. Captain Cook Cruises ventures to the park and offers great value with its family cabins. The diversity of habitat and marine life – plus excellent visibility and forgiving temperatures – has earned Fiji its global reputation as diver heaven. It boasts brilliantly colourful coral reefs lining the shores of each one of its many islands. Lots of PADI- or SSI-affiliated dive operators can be found throughout the islands and in many resorts. Built by a Tongan chief in the 18th century, Tavuni Hill Fort was once a site of defence in times of war and will thrill the aspiring Indiana Jones in your tribe. Located in Upper Sigatoka Valley, the fort has a 90-metre-high limestone ridge that o ers views over the surrounding valley. While it was originally utilised for strategic purposes, it now o ers beautiful vistas of the river and rainforest. Combine an authentic Fijian village experience with high-speed action on the award-winning Sigatoka River Safari. During this half-day adventure you’ll discover beautiful landscapes and traditional culture, learning about the intriguing history, customs and legends of 15 participating villages designed to show life as it used to be on Viti Levu island. The ceremony of drinking kava is one of Fiji’s more interesting cultural traditions. Locally known as yaqona, it is Fiji’s national drink. For many locals, it’s a link to their ancestors and history and is often accompanied by a traditional ceremony in both casual and important social atmospheres. It might be best to let your kids pass on tasting, though, as the drink has a mild narcotic effect. This Hindu temple in Nadi is a feast for the eyes and its many colours make it an interesting historical visit, even for kids. It’s one of the few examples of ancient Dravidian architecture to be found outside of India, and is the largest Hindu temple in the region. Remind your young ones to dress modestly and remove shoes at the entrance so as not to offend locals. This Nadi garden is an aspiring botanist’s dream come true, abloom with up to 40 different varieties of Asian orchids and Cattleya hybrids, as well as a colourful array of indigenous flora. Wander along a canopy- covered boardwalk and bask in the beauty of these flowers, which are both fragile and perseverant, admiring lily ponds and fountains along the way. Find out more at the Garden of the Sleeping Giant. The world’s largest inflatable water park is splitting at the seams with splash-tastic fun for the family. The park in Nadi is open year-round, o ering adrenaline-pumping water slides, obstacle courses, a few waves for little grommets and a toddler zone for younger visitors. Adults who need a dose of caffeine to match the energy of their kids will love the on-site cafe. Find out more at Big Bula Waterpark. Fly through the foliage of three different ecosystems as speed demons get to travel along 16 giant ziplines, spanning ve kilometres. Starting on a mountain that grants 360-degree views of the Mamanuca Islands, Plantation Island and the entrance to Momi Bay, descend through rainforests of vesi trees before entering a system of limestone caves for lunch. Find out more at Zip Fiji. Certainly on the must-see list, the Blue Lagoon in Tavewa is one of the Yasawa Islands’ nest treasures, with mesmerising pearly white sands. The water is famously warm and clear, with visibility nigh unmatched elsewhere in the world for snorkellers and divers. Families who make the journey won’t be disappointed by a day spent lounging in paradise here. As always, pack sunscreen and supervise littlies in the water. A guided tour is a great way to find hidden treasures that only the locals know. Join Tours of Fiji to learn about traditional pottery-making techniques and tapa printing with natural earth pigments. To understand the process, an English-speaking guide leads the way. Meals and return hotel or airport transfers are available. See the playful dolphins who dwell in Moon Reef, known locally as Makalati. The reef is only 15 minutes from Takalana Bay by boat, and a day tour will include snorkelling on the nearby coral reef, followed by a tasty lunch. If your little ones are keen, join a medicine man for a jungle bushwalk to the hidden waterfall or go sea kayaking on the crystalline water. Find out more here.